Penny Merchant greets customers with a smile and freshly steamed milk from her Italian espresso machine. Penny Merchant creates a London Fog for tea drinkers, with Earl Gray tea, steamed milk, vanilla syrup and lavender essence. She jokes that during this winter’s foggy weather, she can change the name to Bayfield Fog. Merchant’s going-away present when she retired from teaching at Bayfield Elementary School was this retro coffee sign. 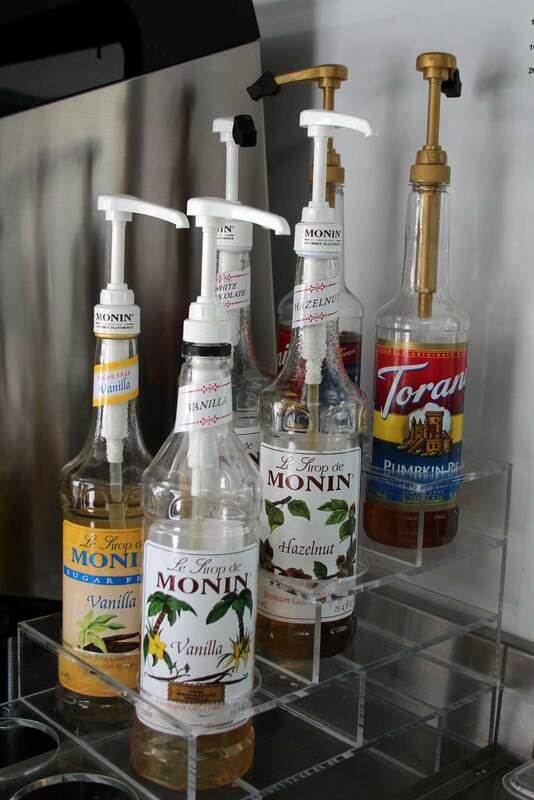 Torani syrups give a shot of flavor and sweetness to the Coffee Merchant’s coffee and tea drinks. 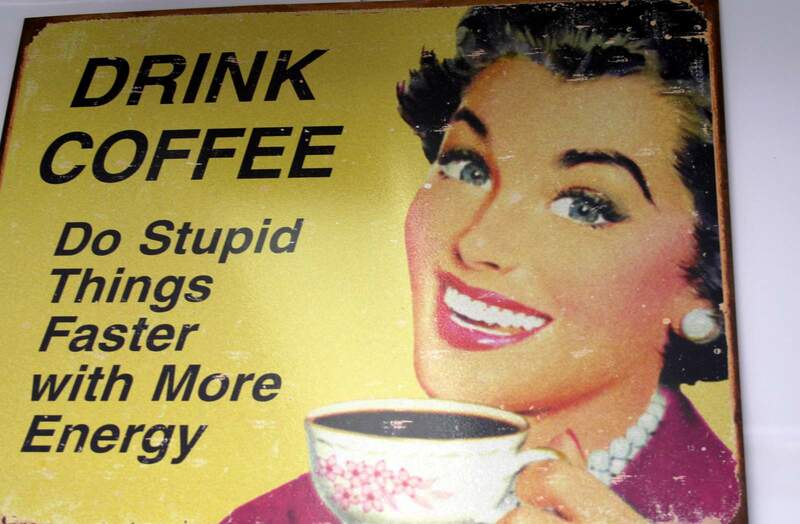 For those who need an extra jolt of caffeine on their way to work, the Coffee Merchant is happy to oblige. 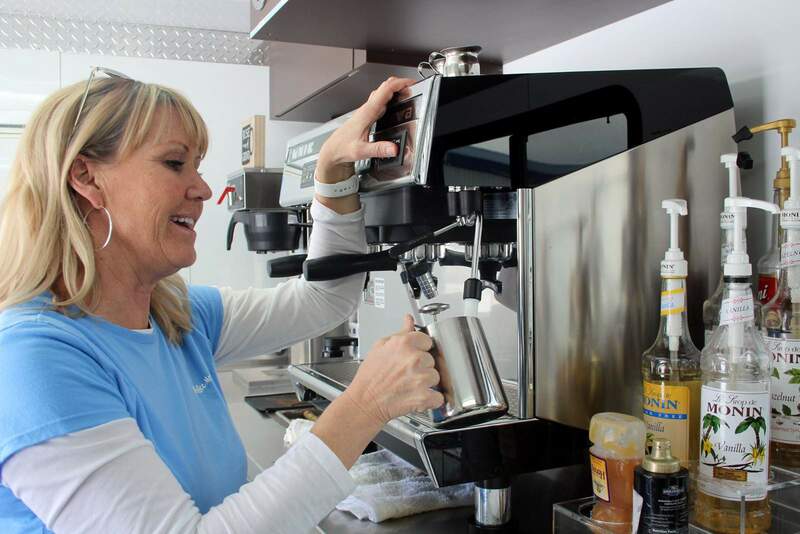 Owner Penny Merchant opened her coffee truck in August, wheeling it around to farmers markets and other events. In November, she started setting up permanently on the corner of County Road 501 and Sossaman Drive. She and husband, Jeff, purchased the former Amerigas property, and now that propane tanks have been removed, they hope to someday remodel the corner to include a commercial kitchen and perhaps, space for more food trucks to park. Popular drinks on cold winter days are caramel macchiatos, espressos and flavored coffees. Her frappuccino is also popular, as well as fruit smoothies. She brews Cuvée coffee because she liked the smooth taste. The Coffee Merchant also features a rotating selection of sandwiches, muffins, bagels and cream cheese, oatmeal and breakfast burritos. The used coffee grounds go into a bucket to be composted by the Pine River Garden Club. Merchant, a longtime teacher at Bayfield Elementary School, said she loved educating students but was ready for a new adventure. The Coffee Merchant makes her customers feel happy, and she enjoys serving lunch to students at nearby Bayfield High School. 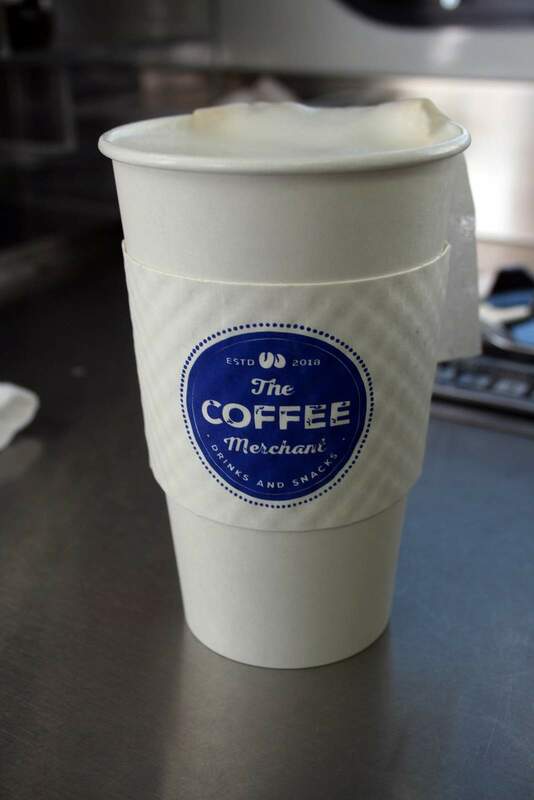 The Coffee Merchant is at its location most weekday mornings from 6:30 a.m. to 1 p.m., and Merchant can bring her trailer to corporate, church or family events. Merchant can be reached at 749-4457, on the Coffee Merchant Facebook page, or at bayfieldcoffeemerchant.com.